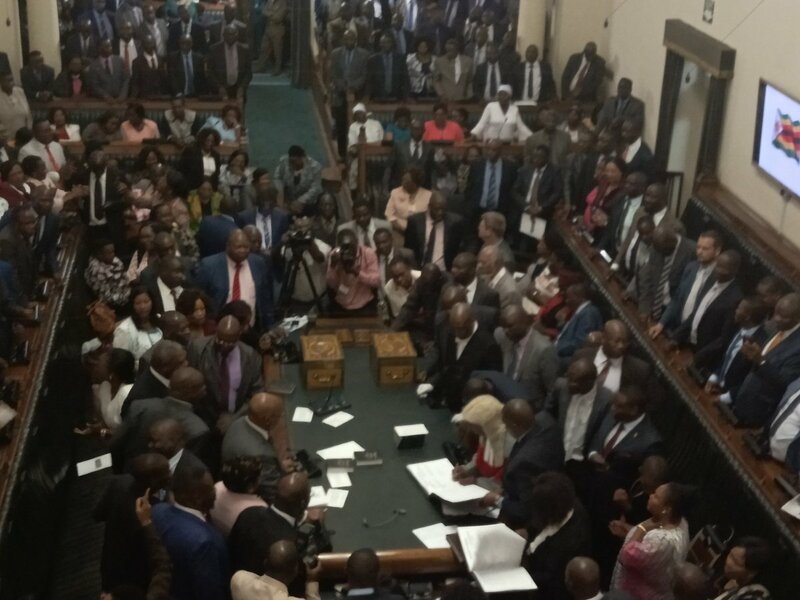 PARLIAMENT of Zimbabwe has apologised to Chief Justice Luke Malaba and the chairperson of the Zimbabwe Electoral Commission Justice Priscilla Chigumba for the rowdy behaviour exhibited by MDC Alliance legislators during the swearing in ceremony of presiding officers on Tuesday. In a statement issued yesterday, the newly elected Speaker of the National Assembly Advocate Jacob Mudenda said the “indecorous” behaviour was uncalled for and should be condemned in the strongest possible terms. “On behalf of the Parliament of Zimbabwe and, indeed on my own behalf, l would like to publicly apologise unreservedly to the Chief Justice, His Lordship Hon Luke Malaba and the Chairperson of the Zimbabwe Electoral Commission Justice Priscilla Chigumba for the indecorous behaviour by some members of the National Assembly during the swearing in ceremony of presiding officers yesterday. Zanu-PF Chief Whip Cde Pupurai Togarepi said they also regretted the behaviour exhibited by MDC Alliance members. “We as Zanu-PF regrets the behaviour of MDC Alliance Members of Parliament during the proceedings, including the swearing in of the presiding officers of Parliament on September 11, 2018 in the National Assembly,” he said. “As the ruling party, we found the behaviour of the opposition party as demeaning the decorum and dignity of both the legislature and the judiciary.